A renowned shopping destination and home to a collective of restaurants for all distinguishing tastes, fine art galleries offering a diverse portfolio of art, sculpture, pottery and jewelry alongside boutiques that more than satisfy with their collection of shoes, fashion and home décor. Only at Hillside can you enjoy amazing views of Sedona’s red rocks in the background of the famous kinetic wind sculptures as you stroll from store to gallery to restaurant. Take a moment to make a wish by the many fountains and water features knowing your wish will help others as all coins are collected and donated to local charities. 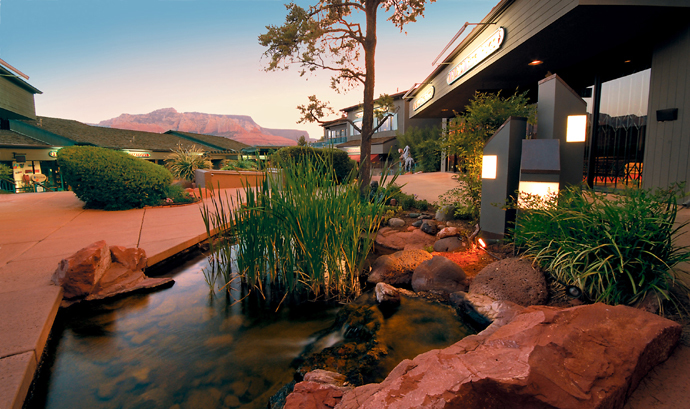 Hillside Sedona also provides an array of services to make the experience extra special. For locals and visitors alike, Hillside Sedona has it all.